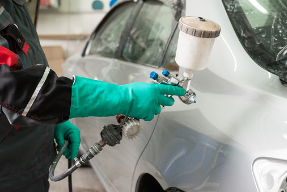 At Don’s Body Shop, located in Olathe, Kansas, our focus is on doing what’s right for our customers and our main goal is to deliver your vehicle back in the best and safest condition! 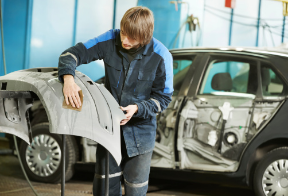 We are a family-owned and operated company that has provided quality auto body and collision repair service for over 35 years. 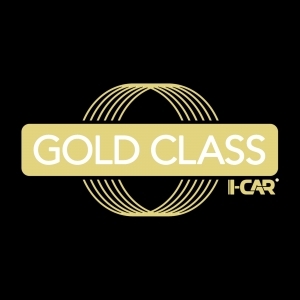 Our I-CAR Certified technicians are trained to follow the most current repair protocol and will work on any make or model of domestic and foreign vehicle. We also value using environmentally friendly products, such as Spies Hecker waterborne paint. 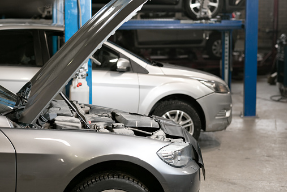 Each vehicle is thoroughly inspected for quality and safety after repairs are completed and prior to customer pick up. One of our priorities is 100% scanning of all vehicles involved in a collision where the vehicle manufacturer requires a pre- and post-repair scan to determine if any diagnostic trouble codes (DTCs) are present. Need help with your insurance claim? 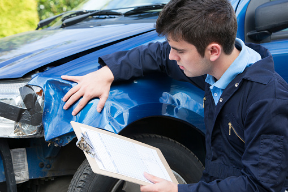 We are a direct repair facility for many major car insurance companies. Monday through Friday from 7:30 a.m. until 5:30 p.m.
We provide free estimates as a courtesy to our customers. 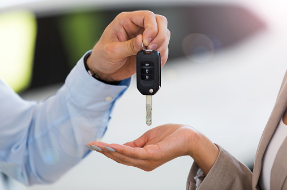 Give us a call today at 913-782-9255 to schedule an appointment or bring in your vehicle at your convenience during our business hours. 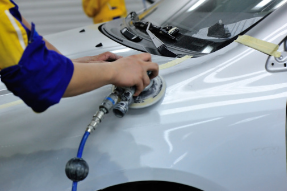 All of our auto body repair and paint work comes with a limited lifetime warranty for as long as you own the vehicle. Take a look at our recognitions! 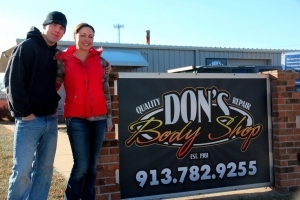 Established in 1981, Don’s Body Shop was purchased by Grant and Shannon Sunday in 2011. Grant worked for Don’s Body Shop for 10 years as a Lead Auto Body Technician before we purchased the shop. Shannon has a Bachelor of Science Degree in Business from the University of Kansas and is currently working towards her Masters in Accounting at the University of Kansas Edwards Campus. We both work in the business daily. 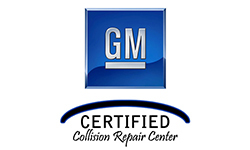 We are also members of the Better Business Bureau, I-CAR, the and Nissan Certified Collision Advisory Board. Grant is also on the advisory committee for the Olathe Advanced Technical Center (OATC) and KCKCC-TEC Auto Collision Repair Department. Shannon is a member of the Women’s Industry Network (WIN) and attends the annual conference to connect with women in the collision repair industry. Someone scratched my car door this morning at my job. I figured I would have to pay someone big bucks to fix it. After work I stopped by Don’s Body Shop to get an estimate. He went out and looked at it and came in with very good news. He had a solution in a bottle and a cloth and rubbed the scratches out. I was so happy and to top it off, he didn’t charge me anything. Thank you so much for the excellent Customer Service. I will recommend you to anyone. These guys did an amazing job fixing my car. I could not even tell it was ever in a wreck. They are an awesome group of people that always put the customer first! If I ever have the need I will definitely be bringing my vehicle back to them! A HUGE thank you for getting my car fixed fast and looking great! Best customer service I’ve experienced in a long time! I hope to not need body work done to my car in the future, but if I do I will definitely bring my car back and will also recommend you guys highly to others! Couldn’t ask for a better group of people to work with. Thank you Don’s body shop!!! Beyond great job and exceptional customer service! Thank you. Best body shop in town hands down. Awesome customer service and great work. I have been using Don’s body shop for years. Everything from minor fixes to major repairs, this team is top-notch! They always make sure satisfaction is met, and then they go beyond that! I have never been disappointed! Quality work and great turnaround time. We appreciate the knowledgeable staff and friendly employees. I have had numerous vehicles fixed at Don’s Body Shop over the years and they just finished up the work on my GMC Terrain after a deer decided to run into the rear driver’s side. I can’t say enough good things about their work! The customer service is impeccable, all the staff members are kind &helpful, and they always make the process painless and go more than the extra mile to make sure that I’m taken care of & comfortable while my vehicle is in the shop. The extra attention to detail really makes the all the difference! They worked with my insurance & did an incredible job on the repairs, looks like it never happened and I couldn’t be happier. I HIGHLY recommend Don’s Body Shop! I’m always impressed with Don’s Body Shop. I was rear ended a couple weeks ago and my car looks brand new! Thank you! They are great at what they do! Grant and Shannon always go above and beyond to make sure our cars are done better than new! Won’t take our cars anywhere else! !